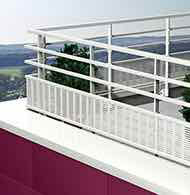 Bandonet® is an aluminuim band course acroterion system. 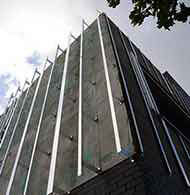 It is used to raise an existing parapet wall or as a replacement for a concrete parapet wall. 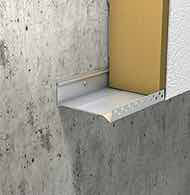 It also allows roofers to incorporate insulation into a flat roof by using an L-shaped bracket (not provided). 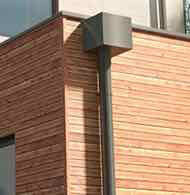 Bandonet® can also be used as a decorative fascia on an external wall. Bandonet® has an External Wall Insulation System (EWIS), allowing the parapet wall to be raised, even if the existing parapet projects well beyond the face of the wall. 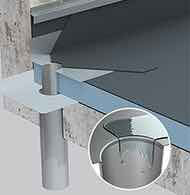 the system autonomy concerning the waterproof complex which is lifted up on a metal curb, provided by the installation company. Bandonet® is used when a traditional edge strip is not the right size, in particular where waterproofing has been repaired with thermal insulation. 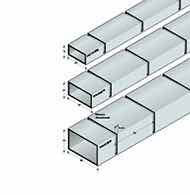 It is used either as an acroterion raiser on a existing acroterion, or as a metallic acroterion when there is no acroterion in concrete. 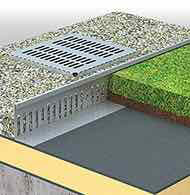 The system has also protects the façade covering against sagging and dirt due to its ability to discard water. It can also be used as a decorative band. 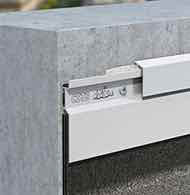 The slider has 2 drilled oblong holes of 8.5x35mm which facilitates its installation on the slab. 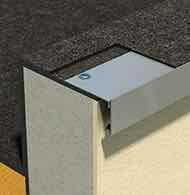 The hinge allows height adjustment of the band course before being locked in place. The angular adjustment of the hinge allows the band course to be postiioned parallel to the façade before being locked in place. 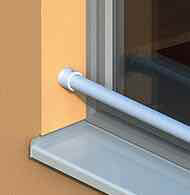 A. an automatic spring loaded support to hold the fascia. 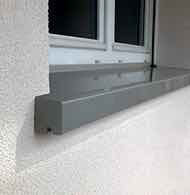 B. an aluminium slider with two holes to attach to the structure. 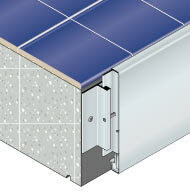 This will allow insulation on the external wall of up to 250mm width. Please contact us if bigger sizes are required. C. a hinge which adjusts the angle and the vertical positioning of the band. 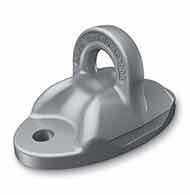 This hinge is supplied attached to the support. 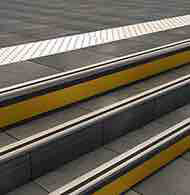 D. a "top-hat" profile for fixing the metal kerb. All of the components are custom-made in our workshops and delivered ready to be installed. 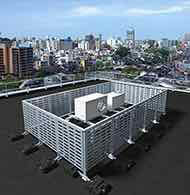 A setting design plan is provided at the delivery which is created following a summary made on the construction site. 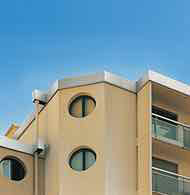 A calculation note in accordance to the Eurocodes can be provided. 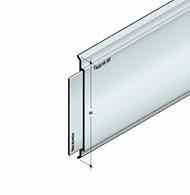 The max length of the Bandonet® components is 3000 mm. 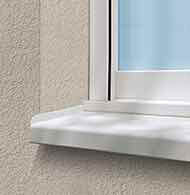 aluminium width 15/10 and 20/10. 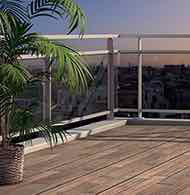 Available in natural tint anodized alu, or lacquered alu. 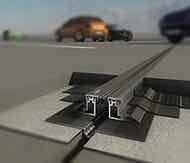 Reinforced slides for efficient junction. Simple and quick to assemble system. Angle pieces and other special pieces are custom-made. To be fixed on a slab.